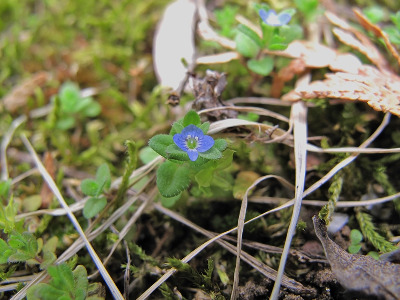 A common little Eurasian weed of roadsides and trails, disturbed areas in forests, on shores and rock ledges; in moist fields and gardens; and disturbed ground generally, such as parking lots, vacant lots. Collected by the First Survey in 1837, but without a specific locality (likely either Washtenaw or Wayne Cos.), collected shortly aferwards in Macomb Co. in 1843. and doubtless soon well established. The style is ca. 0.5–1 mm long: often intermediate between style lengths of V. dillenii and V. verna, which resemble it. Pedicels are up to 2 mm long. MICHIGAN FLORA ONLINE. A. A. Reznicek, E. G. Voss, & B. S. Walters. February 2011. University of Michigan. Web. 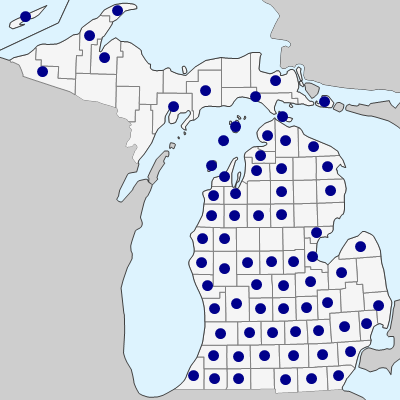 April 26, 2019. https://michiganflora.net/species.aspx?id=1972.